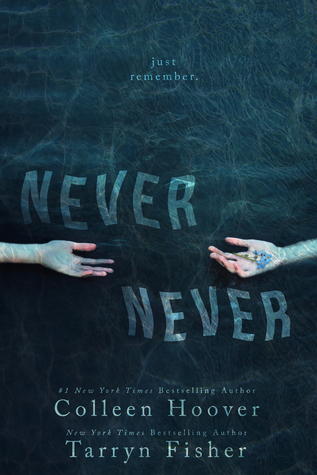 Sometimes I sit down to write a review and I have absolutely no words because all I can think is, "Wow, that book was so f****** fantastic and everyone needs to read it so I won't have to gush alone." If that would be an acceptable response for a review, I would leave this one at that because what else can I say without getting tongue-tied?! Never Never was quite the ride. Exciting, confusing, hauntingly romantic, thrilling and so beautifully executed. I'm actually so happy that it is going to be a part of a series because I don't want to finish it just yet. I loved the twists and turns and the overall thrill of knowing absolutely nothing and possibly everything. "She's lost in thought. I'm lost in her." I love that you go into this book completely blind because you almost don't want to know too much. You want the story to keep going, keep giving you tiny, suspenseful hints along the way. It's addicting as it is frustrating. I loved it. 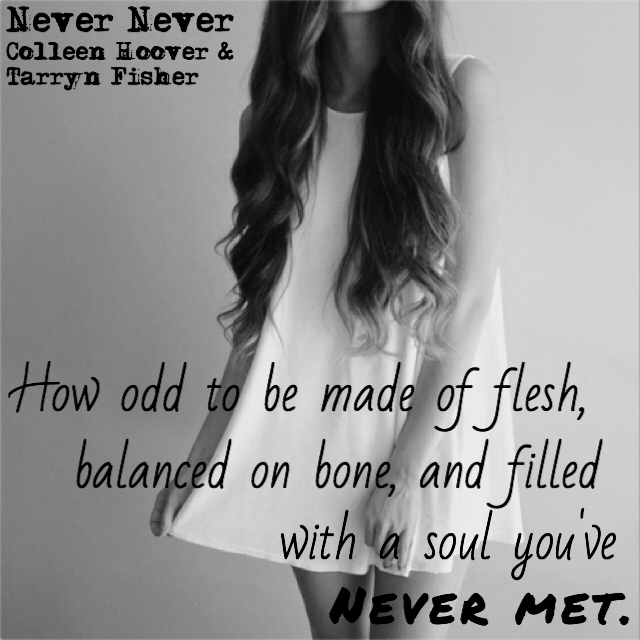 Colleen and Tarryn created magic with this story. Definitely experience this for yourself!